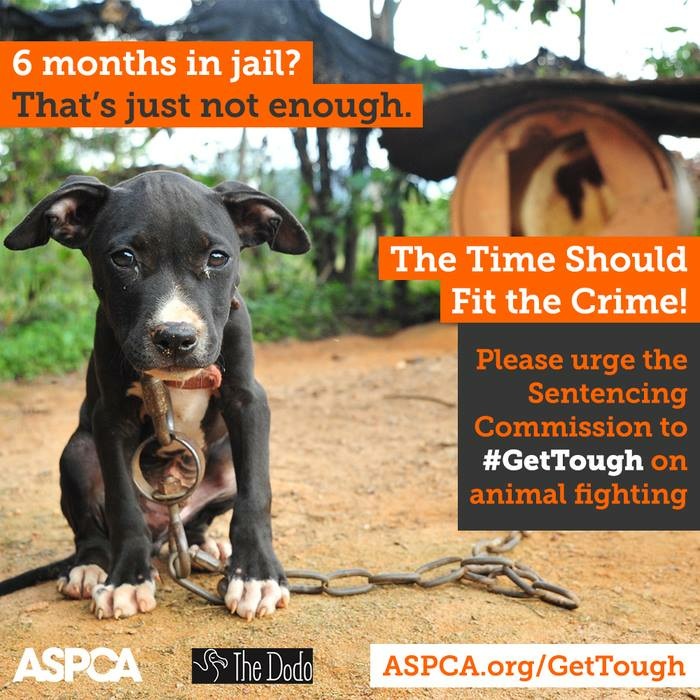 ASPCA Says #GetTough On Animal Fighting! We agree: Raise the jail penalties for people who fight animals! We're thrilled to help spread the word about ASPCA's latest campaign: #GetTough on Animal Fighting! 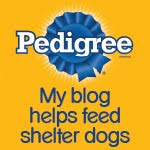 The ASPCA needs our help to get the U.S. Sentencing Commission to raise the jail penalties for people who fight animals. Here's the scoop: Clearly, our community of animals lovers believes that dog fighting, for example, is a terrible crime—and thankfully, it's considered a felony in all 50 states. Federal law allows this crime to be punished with prison terms of up to 5 years, but the current federal sentencing guidelines categorize animal fighting as a “gambling offense” and suggest a base level sentence of only 6-12 months. Unfortunately, these recommended jail sentences don't match the seriousness of the offense. Typically, convicted dog fighters receive prison sentences as low as six months in jail, and almost half of all offenders only get probation. Now is the perfect time to make our collective voices heard and bring the penalties for animal fighting more in line with the severity of the crime. In April, the U.S. Sentencing Commission will be updating their sentencing guidelines and animal fighting is on the agenda. Won't you support raising the penalties for those convicted of animal fighting by filling out this simple form at https://secure.aspca.org/form/get-tough? The Commission will be accepting public comments only until March 21, 2016, so you've got about 10 days to submit your comments and help the #GetTough cause! 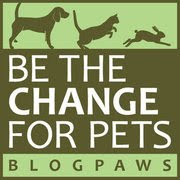 Feel free to write your own blog post supporting this campaign and/or share on social media, using the above ASPCA icon. As always, thanks for all you do to help animals! Dog fighting is wrong, wrong, wrong and it hurts us to even think about such a horrible act!